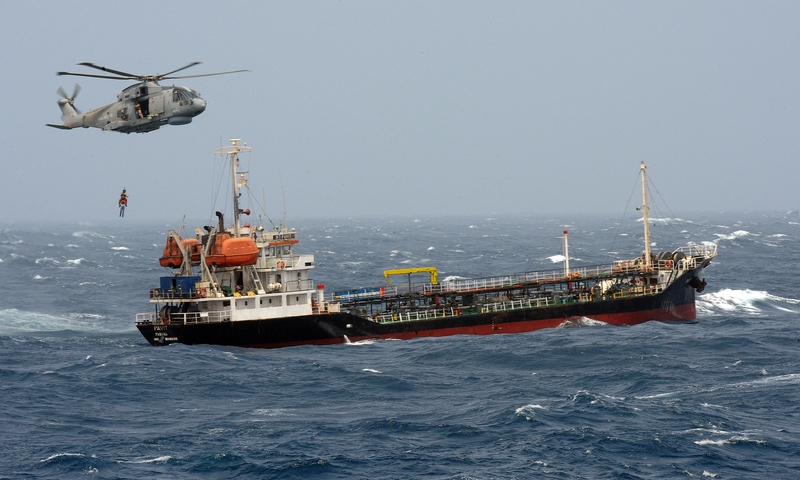 A multi – agency effort involving Falmouth Coastguard in the UK, Combined Maritime Headquarters in Bahrain, and CMF ship HMS St. Albans, has helped to save the lives of several injured mariners in the Arabian Sea. At approximately 7AM on June 30, CMF was alerted by Falmouth Coastguard that merchant vessel MV Pavitt had lost all power and several of the crew members needed emergency medical treatment. CMF immediately tasked HMS St Albans (a type 23 Frigate) to respond to a Mayday call from the stricken merchant vessel, 122 miles off the coast of Oman. 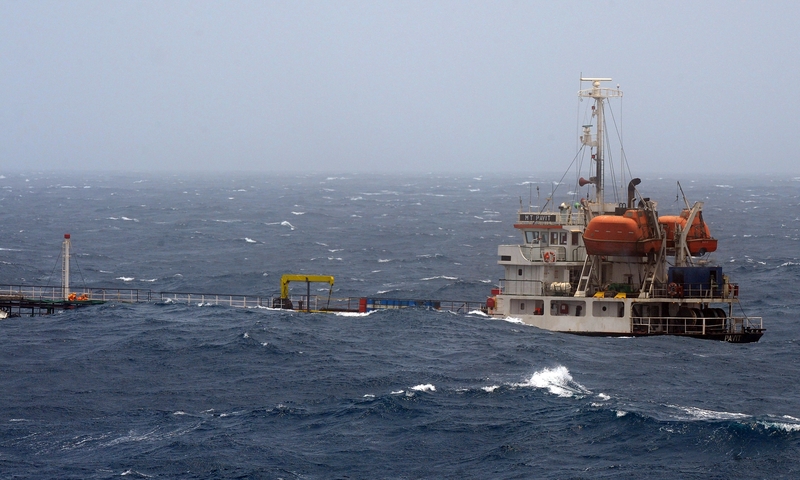 The master of the vessel had requested emergency assistance after their ship, having lost power, was being buffeted by a storm and taking on water. 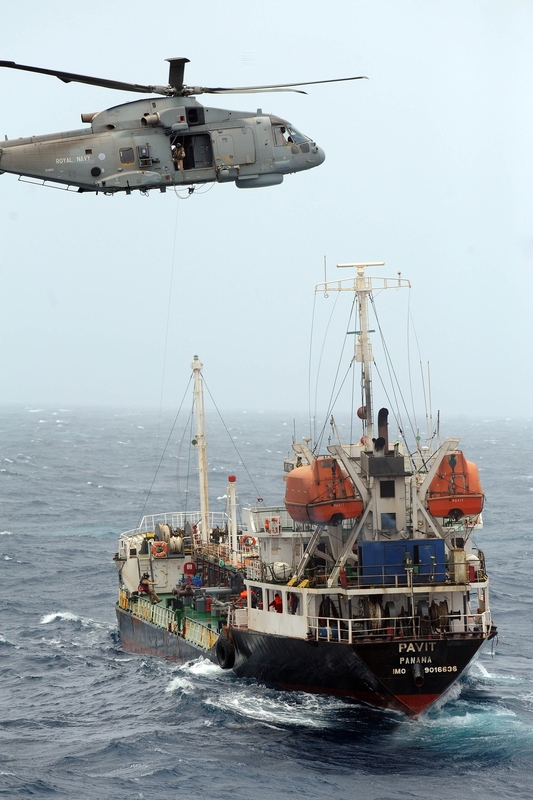 The ship contained a crew of 13 people onboard; three who are reported to be seriously ill from prolonged sea sickness. The crew had been pumping the water out for a number of days but it had been requested that St Albans assist with casualties and evacuate the crew. Approximately 9:14AM St Albans’ Merlin helicopter was launched with the medical officer embarked to provide medical assistance onboard the stricken vessel. 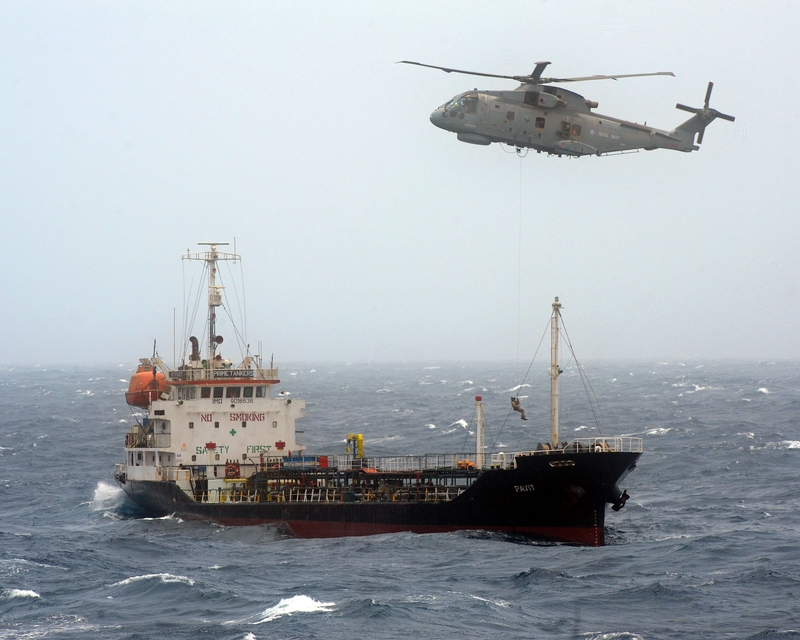 They treated the seriously ill, and at the request of the ship’s, transferred all personnel by helicopter to the sister ship of the vessel MV Jag Pushpa. CMF is a multi-national naval partnership which exists to promote security, stability and prosperity across 2.5 million square miles of international waters in the Middle East, which encompasses some of the world’s most important shipping lanes.